The first month with a newborn goes pretty fast! I can’t believe our sweet little Sienna is already 9 weeks old!! If you’re planning for the birth of your first child, like we recently were, you should expect to be pretty tired and feel like you’re on a crash course of learning to care for your new baby….you’ll definitely learn something new each day, whether you’re planning on it or not. :) Since this is all still fresh in my mind, I thought it would be helpful to share some of my must haves for the first month + things that helped us get through that month for those of you that are expecting! I didn’t bother listing the obvious needs, like car seat and diapers and baby tub. I instead wanted to focus on items that you might not have considered yet, these were helpful for us! 1. Happiest Baby on the Block DVD – Since Sienna came early, we didn’t have time to finish reading the books I picked up, but my sister had given us this DVD. We watched it the second night home and it was SO helpful. Dr. Karp goes over the 5 S’s (so incredibly helpful and helped to soothe Sienna when she got frustrated) along with lots of other useful advice. Perfect for first time parents – especially those of you that don’t have time to read the recommended books! 2. Newborn hats – We noticed Sienna seemed much more peaceful (and could sleep better) when her tiny head was covered. The hospital gives you a cute hat (which Sienna loved), but we also loved these soft beanies from Baby Gap. 3. Baby Carrier – Perfect for the evening hours when she just wanted to be held,when we needed to get out of the house and take a walk or when there was GWS work to get done. It allowed us to do all of those things while still keeping her near! Since Sienna was only 5 lbs when we brought her home, I used the Baby Ka’tan, but now that she is 9 lbs I prefer this baby carrier from Baby Bjorn (for babies 8 lbs to 25 lbs) – so much easier to put on! 4. Pretty (and comfy) robes for mom – I found I was living in my robe that first month, so much easier with all the feedings! I alternated between my favorite froms from Plum Pretty Sugar and Love Ophelia. 7. iPhone – I’m sure it’s something most new moms have, but once you understand just how many feedings you’ll be giving, it will allow you to keep up on emails, instagram, facebook, etc. I also highly recommend this white noise app – the beach waves were perfect to help Sienna sleep and wasn’t annoying to me either. 8. Glider – Another necessity for all the feedings. I LOVE our glider from Serena & Lily. It’s super comfy, rocks the perfect amount and I took quite a few naps there with Sienna that first month. :) Jason likes it because it’s great for me, but also big enough for him to sneak in a nap with our little girl. 9. Swaddle Blankets – These swaddle blankets by Aden and Anais are the softest and make great swaddles. I love the cute prints and that they are light enough for warm weather too. 10. 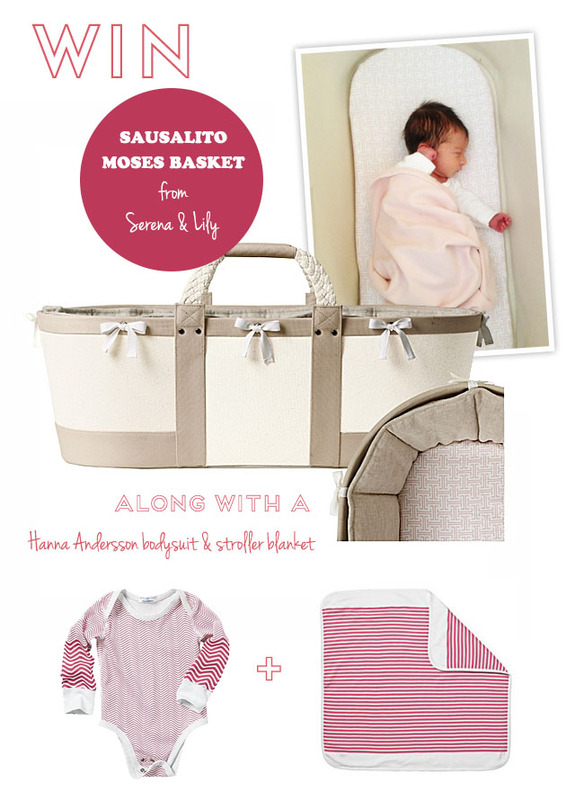 Moses Basket – The Moses Basket was perfect for us for when we brought Sienna home. I wanted to have her sleep in our room close to us, so this was perfect. It’s super mobile, so I could also have her sleep in the office with us while I was getting work done. This one from Serena & Lily is so beautifully made and stylish too – which I love since I’m noticing our house is getting full of baby things very fast! The contest entry period is now closed. We’ selected a winner at random and it was Kristin C….Congrats Kristin, enjoy your new Moses Basket! Thanks for giving the essentials that are less often talked about! I’m not pregnant yet, but when I am — I’ll be sure to look for these products! Thank you so much for sharing! I’m passing this post onto my sister for sure! 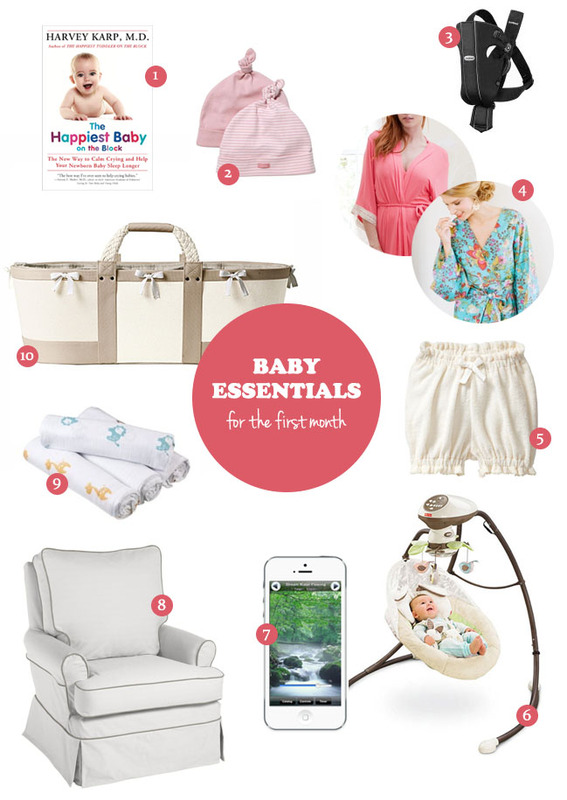 Great advice.. just updated my baby registry with some similar items thanks to your post. Getting anxious to meet my little (Wyatt) guy already! Sharing this with my bff who is 5 months pregnant! would love to win for her or my sister-in-law – also pregnant! These are great tips! I passed on a link to this page to my cousin who is expecting her first child! Thank you for sharing! I would LOVE to win this moses basket for my new little one that should arrive in July!!! It’s actually a need as I will have our current little one in our pack n play and really need a place to put our new little one!!! Due may 31 with a girl! 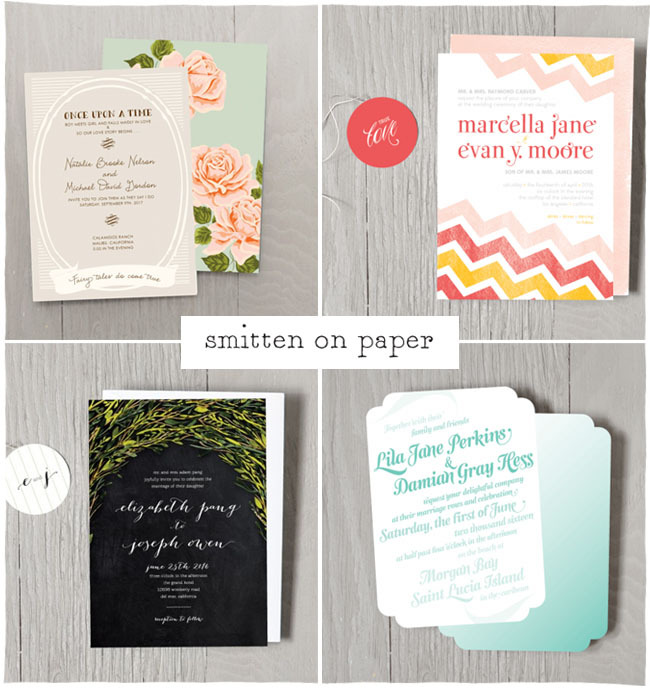 Wedding Invitations by Smitten on Paper + a Giveaway!